From decor to food and drinks to games, this party is sure to be a touchdown! Every year for the big game, I love to go all out for my guests! From decor to food and drinks to games, this party is sure to be a touchdown! So, for the LA Rams we have the Rammer Jammer (Delish's Yellowhammer Slammer, renamed). Warning: This one is a doozy! I like to serve it in a highball glass with black-and-white referee stickers and whistles as garnishes. The hot drink right now is the Dark & Stormy but this one is a nod to the Pats. This ginger beer, Bantam, is from New England. Pour ingredients into empty can of ginger beer, fill with lots of ice and top with upside-down mini rum bottle. Be a part of the big game and run through your very own “sideline” banner! You can recreate this at home by getting an extra-large King-size bed sheet. Just paint any image on it, cut it in half and Velcro the pieces back together. You can then hang it in a doorway with command hooks. It is so fun, so easy and it will get everyone in the mood to party. I covered the table with AstroTurf that you can get from Home Depot. So easy, inexpensive and festive! These wooden numbers add some great dimension to your table and you can get them from any craft store. I just spray painted them white and hot glued them to Popsicle sticks. You can arrange them in any order, but if you want to get really into theme — you can use them as your 10-, 20- and 30-yard line markers! Also, to add height to a table, I repurposed cardboard boxes with spray paint to create a bleacher set-up for the mason jars in the nacho bar (below). People will love your Rams nacho bar. Not only is it a great way to incorporate our football theme with the bleachers and team hats, but it’s also totally personalized and delicious! Use mason jars to fill with nacho toppings. I like to use jalapeños, sour cream, chicken, guacamole, bacon, and cilantro. What’s a football party without a cheese ball?! Your guests will love this salty treat from Pampered Chef. Even though we love to splurge at our parties, it’s always nice to have a healthier option! This Greek yogurt veggie dip from Always Nourished is the perfect addition to our team. You can take an old football, cut it in half, and then you have a great serving dish! These wings from Thrillist are lip-smacking good … and I’m not fluffing kidding! What’s better than peanut butter and marshmallow fluff? Not much! To satisfy your sweet tooth, all you have to do for this treat is buy some classic ice cream sandwiches, use icing to draw the football laces on them, and stick your “play-by-play” Popsicle sticks into them! This is a classic football pool. We have a template you can easily print here, or if you want to have a reusable board for every year, take it to FedEx and get it laminated. 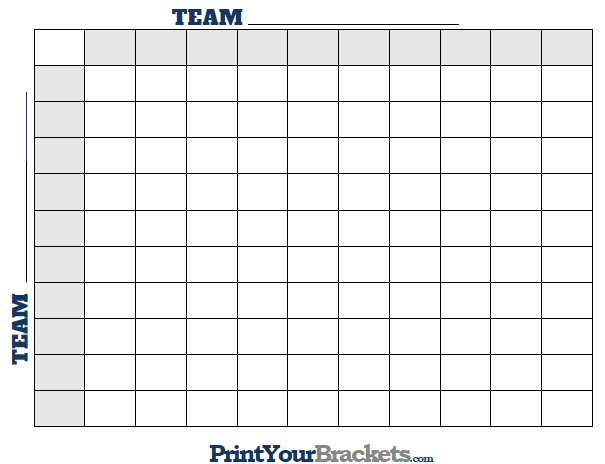 You can use dry erase markers to write in the teams and everyone’s names and then you can print some numbers, put some Velcro on the back and then one by one you draw out the numbers. Everyone loves a little friendly competition, and who doesn’t want to earn their bragging rights for the year?